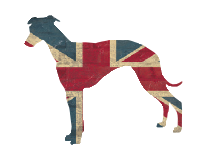 Established in 2012, Minkeys Tweed produces fashionable, handmade tweed coats for greyhounds and whippets. Their range has grown rapidly and now includes tweed coats for all dog breeds. Lovingly handmade in the UK from pure Scottish and Yorkshire tweeds, Minkeys Tweed dog coats are luxurious, chic and very stylish.